Boisset American purchased DeLoach out of bankruptcy in 2003, thirty years after its founding by Cecil De Loach in 1973, and brought in Greg La Follette to bolster the wines. He has since moved on to concentrate on his own label, La Follette Wines, but remained as a consultant. Winemakers Brian Maloney and Julia Vazquez took over. The future looks bright here as there is serious a commitment to quality and an emphasis on small-lot vineyard-designate wines. The 17-acre vineyard that came with the winery had to be replanted and is now certified organic (by CCOF) and Biodynamic®. 2010 was the first vintage from the new vines. Boisset had to rebuild DeLoach's other fruit sources and currently they source from multiple growers in Green Valley, Sonoma Coast, Sonoma Mountain, Marin County, Occidental and Mendocino County. The winery's viticulturist is Eric Pooler. Boisset has maintained the historic focus on Pinot Noir and Zinfandel while creating new wines at higher tiers - most notably the Vineyard Designate series, which includes Chardonnay, Pinot Noir and Zinfandel. Currently there are 24 Vineyard Designate wines, some produced in as little as fifty cases. Winemaker Brian Maloney has benefited from the upgrade in estate vineyards and vineyard sources and winemaking equipment since Boisset took over. Maloney grew up on his family's ranch in the Petaluma Gap, graduated from the Viticulture and Enology program at UC Davis, and worked his first harvest in 2003 at DeLoach Vineyards. He has remained there ever since. He also has overseen the rebirth of the Buena Vista Winery in Sonoma. In 2012, his team was the first to make wine in the historic Champagne cellars in over 30 years. Maloney also guides the Pinot Noirs and Chardonnays of the JCB by Jean-Charles Boisset winery. He worked with Jean-Charles Boisset and Gregory Patriat, Winemaker at Jean-Claude Boisset winery in Nuits-St.-Georges, France, to create the innovative JCB #3, a wine that unites grapes from the Russian River Valley and Burgundy. The Zinfandels are now vinified more like their Pinot Noir using open-top fermenters, minimizing tannins and limiting new oak to 25 percent or less. Production is 150,000 cases annually. 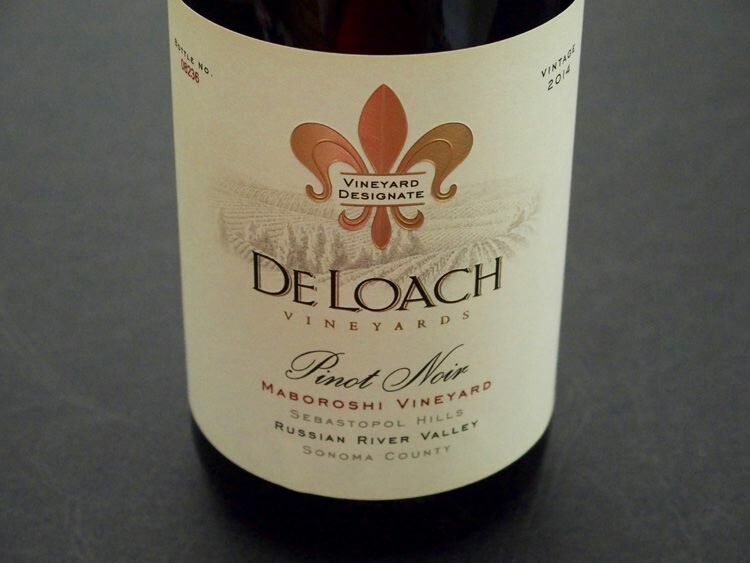 Several Pinot Noirs are produced: a Russian River Valley, Sonoma County and Green Valley appellation blends, the OFS release (previously the winery's top-tier label), and vineyard designates from more than six sources including Maboroshi Vineyard, Durell Vineyard and Sonoma Stage Vineyard. 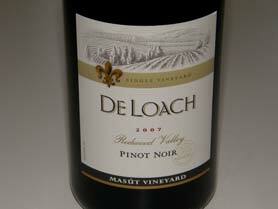 The California Pinot Noir is available in a 3L eco-bag for a "cellar-to-glass" wine drinking experience. The wines are sold on the website and at the tasting room which is set on the beautiful winery grounds and open daily from 10:00 to 5:00. Tours of the winery and Biodynamic garden are offered Monday through Friday at 11:00 by appointment (707-526-9111). DeLoach will provide a picnic basket and picnic table by reservation in advance. Reserve tastings are also available. A Garden Tour is offered weekends by appointment. A seated guided wine and cheese pairing is also available by appointment.